It is common knowledge that owning a car in Singapore is more of a luxury and this is perhaps because of the Government Officials early realization that too many vehicles on their thoroughfares will soon result in uncontrollable traffic problems. Limiting the ownership of vehicles in Singapore have proven to be most advantageous for the country, but the fact remains that there are individuals and families here who would still want to have ownership of a brand new or a very good second hand car. Although there are strict regulations when purchasing a car in Singapore, it is still very much possible to own one, but the prohibitive cost of vehicles has pushed would be car owners to file for a bank loan, or more specifically for a car loan to finance the purchase of their dream car. 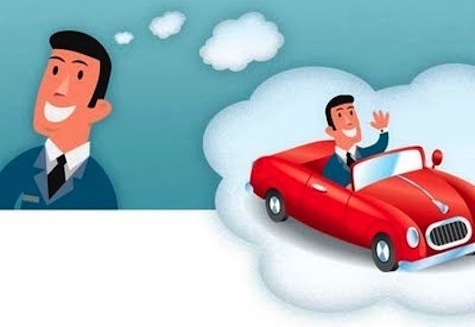 There are very strict rules to follow before one can purchase a car in Singapore so there is a need to understand the pre-requisites in applying for a car loan in Singapore. First off, purchasing a car in Singapore can be very costly for the buyer because applying for one is almost as difficult as when you are applying for a home mortgage loan. Car buyers here should realize that in addition to the Open Market Value (OMV) of the car, a prospective car buyer must also pay a tiered Additional Registration Fee that fluctuates to as much as 180% of the OMV. There is also the Certificate of Entitlement or CoE, Goods and Services Tax, Excise Duty, Road Tax and the all important parking Fees that the soon to be car owner would have to pay. Secondly, a car buyer should be aware that the type of loans available for vehicles with an Open Market Value of about 20,000 dollars will be limited to only 60% of the cost while those with more than 20,000 dollars price tags will be capped by only 50% loan amount. Third, the best way to avoid the high cost of purchasing a new car is to opt for a good pre-owned car. Selecting to buy this kind is the better alternative because the purchase will come out cheaper. Aside from the money saved, there will be less waiting time for you to get the necessary approval and documentation for the vehicle and there will there be no more need for CoE bidding. Also, the transfer fees that you would have to pay for the sale will be relatively small. Fourth, once you’ve decided whether to buy a new or a pre-owned unit, you have to decide to which licensed moneylending company Singapore to file a loan application with. Compare their interest rates and repayment schemes and find out which would best suit your financial status. Fifth, the financing options that you have selected should also be beneficial to your particular credit status. Sixth, choose a financing company that offers the lowest interest rates and finally, make sure that you have done all of your homework relative to buying a new or pre-owned car because this is the only way that you will be able to save money in the end. Why Do You Need a Business Loan?